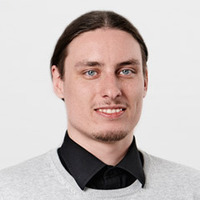 Toptal supports developer communities all over the world, and one of our own Toptalers, developer Vidmantas Kabošis, is the lead organizer of the Vilnius Ruby User Group. Their next event in 2016 will take place on December 8th, so if you happen to be in Vilnius that day, make sure to drop by, say hello, and meet some fellow Toptalers and Rubyists. If you’re not yet familiar with Toptal, this is the perfect place to find out more about it! If you register your lightning talk upfront website, we will be able to say thank you via a small surprise! Let’s build a community event of collaboration, communication and discussion this December!